64 pages case-bound, colour and b/w. 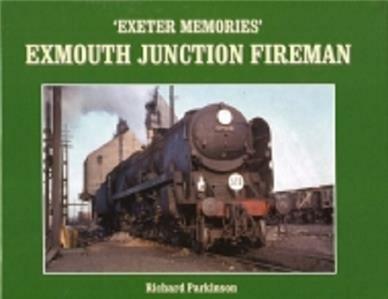 The tales, exploits and memories of Exmouth Junction Fireman, Richard Parkinson from his start as a cleaner in 1959 and subsequent firing trips to Salisbury, Exmouth, Okehampton, Barnstaple and Ilfracombe. Beautifully written and superbly illustrated with material mainly of his own taking and never previously published.